Eleven years into my first marriage, I sat across the table from the man I thought I was going to spend the rest of my life with and I realized that all I felt was numb and alone. He was a handsome guy, but the spark had fizzled long ago. He had many good qualities, but affection, connection and real intimacy just wasn’t one of them. He was a good man who was responsible and trustworthy, but I suddenly couldn’t stand the crisp edge of his perfectly ironed shirt and pleated khaki pants. Or one more second living this numb and lonely existence. Maybe you’ve been married for a while and what you used to feel for your husband has changed. Things between you two have gone from feeling easy and even fun, to distant, heavy and empty. Your conversations revolve largely around the kids and the grocery list. You sleep in the same bed, but you haven’t touched or kissed in months – maybe far longer. As the kids grow up, they’re increasingly more independent, leaving the two of you more alone time together. Often, the silence between you is deafening. And, as you’re going through the motions of your days, as if by some ironic twist of fate life throws this manufactured holiday at you. Are you supposed to act like lovers and crawl into bed together after an expensive dinner and a perfunctory exchange of chocolates, flowers and cologne? You wonder if that’s even possible when there hasn’t been a touch on your shoulder, a whisper in your ear or an embrace that made you have to catch your breath – if only for a moment. Grin and fake it? You’re far too grown for that. Or, take a step toward getting real and getting clear – about your marriage and about yourself and what you want. If your marriage hasn’t felt good for a while now, what have you been trying to do to make it better and how has it been working? If you have felt numb, lonely, lost or stuck inside of your most important relationship, what have you been trying to get the happiness you hope for and the connectedness you crave? If you’ve tried everything you can think of and it still hasn’t worked, then maybe it’s time to look for a totally different way to make your heart feel whole again. 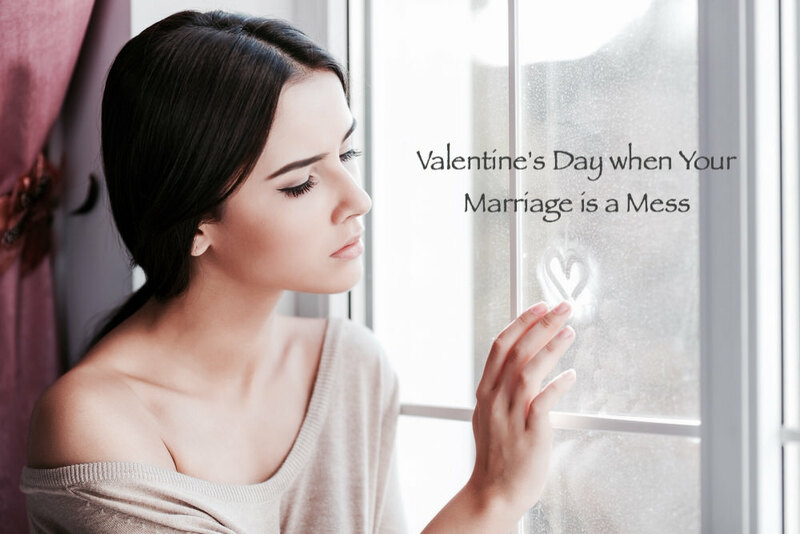 Maybe it’s time for a new approach to getting the clarity you need about whether it’s time to dig-in and re-commit in your marriage or lovingly release it. Now, that’s a Valentine’s Day gift you can actually use.